Today's industry moves fast. At AGL we count with the airfreight resources and experience to execute efficiently…..
AGL is in position to offer a wide range of time definite or specialized airfreight services. We rely on long term relationships and agreements with air cargo carriers to cover the needs of our customers, allowing us to offer a flexible and varied spectrum of services on a direct or consolidated basis. 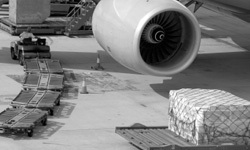 There are times when airfreight is the only alternative to meet a customer’s demand. 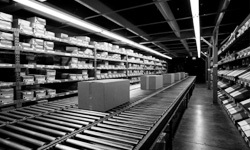 Air transportation can efficiently minimize warehousing needs, and reduce inventory costs. The key is to make airfreight provide the desired effects, something we at AGL pride ourselves in accomplishing one shipment at a time. The task is to enhance our customers’ results by using our knowhow and expertise accurately every time… . . . . . Many things go into account prior to deciding whether to ship by ocean. Its ability to reduce cost is a tempting option, but careful thought process must be paid as not all ocean bound solutions are right for every transaction. 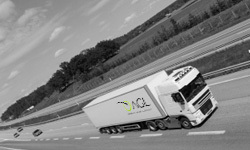 At AGL we research the best solution to the task at hand, and ensure that our customers are always in command of their goods. Our ocean services are carried out in close collaboration with the carriers and consolidators we associate with, which allows us to efficiently offer Full Containers Load (FCL) or Less Than Container Load (LCL) services to our customers. Through our NVOCC (Non Vessel Operating Common Carrier) services we are able to issue our own Bills of Lading enabling us to extend a perfectly well crafted intermodal service offering from and to anywhere in the world. It takes more than just seamless air or ocean coordination to keep your business effectively on the move, it requires the support of effective distribution and logistics solutions at destination or at origin, wherever the need may be. AGL allows you door to door peace of mind until “your” customer is satisfied. At AGL we manage and coordinate warehousing and distribution at every one of our facilities totaling well over 100,000 sq. ft. (10,000 m2). 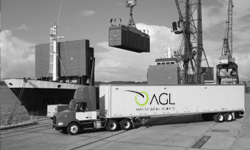 AGL provides its customers with carefully chosen inland services solutions. We serve all major industrial commercial centers through reputable partnerships in road transportation. • Intermodal Services, Dedicated Trucking Services, and National Pickup Services. AGL has established proper and sound partnerships with worldwide insurance carriers to bring proper and effective marine Insurance (also known as Cargo Insurance) to covers the loss, damage or theft of goods while they are in transit. Damages and losses during transportation occur frequently. Forklifts puncture cartons, water always finds its way to the most delicate equipment, and theft is ever present at origin and destination regardless of how good locks and seals are. 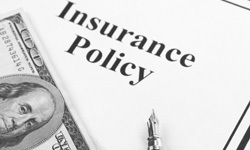 Setting your mind at ease knowing that while your goods are traveling, and regretfully out of your control, insurance coverage is there to protect you and your company is our responsibility. Finding and effective process to overcome the rigorous import task of clearing customs…. From the world to your door, at AGL we arrange expert Customs Brokerage services so that your shipments are efficiently, timely, and precisely liberated from Customs without interrupting your business flow.